Learn about theatrical sound effects systems. This course is intended for professional engineers, architects and construction managers wanting an introduction to the design of theatres and concert halls with optimal acoustic characteristic and communication systems. This course will give professional engineers and others an introduction to techniques and methods used to design concert halls and theatres to have good acoustics and communications features. 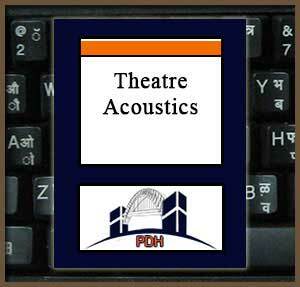 This is an introduction to acoustics and communication systems for theaters and concert halls. This course will give you an introduction to methods for designing acoustic enhancement features and flexible and effective communication systems.